Clients site got the following message when users got to the site. My journey started with the host which was wrong. It was all google this time. 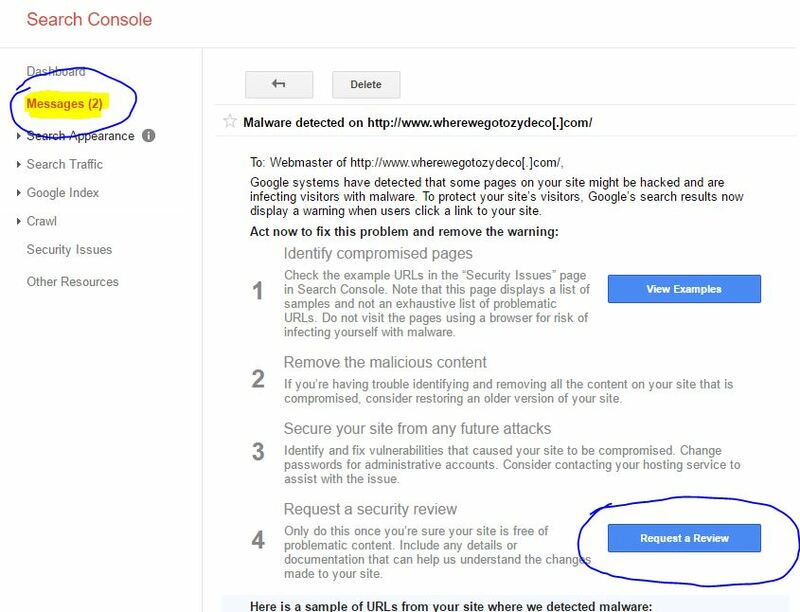 Here are the steps to get google to review your site and take it off the blacklist. On this page is a video to walk you through process. Next I logged into Google Webmastertools. Clicked on Messages. 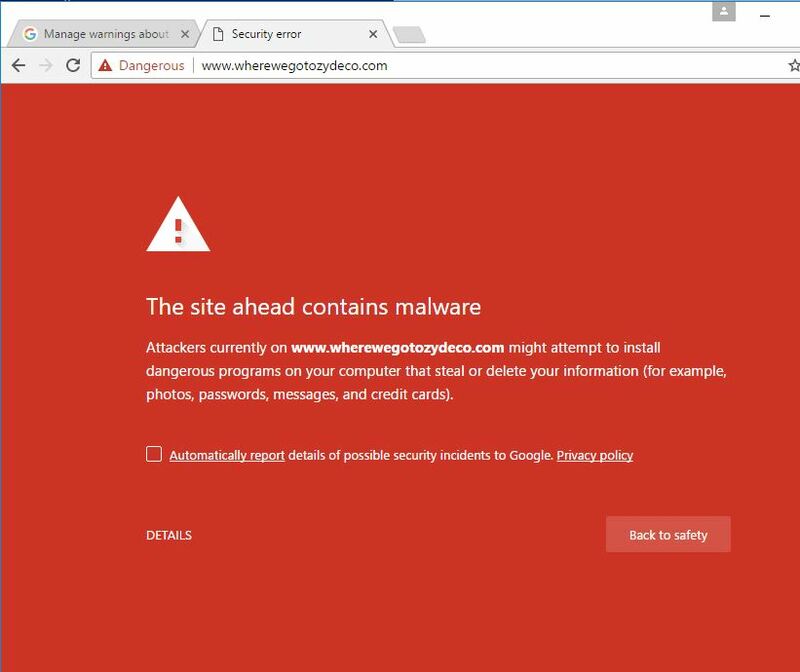 Clicked on the property with the malware message. And hit “Request a review”. 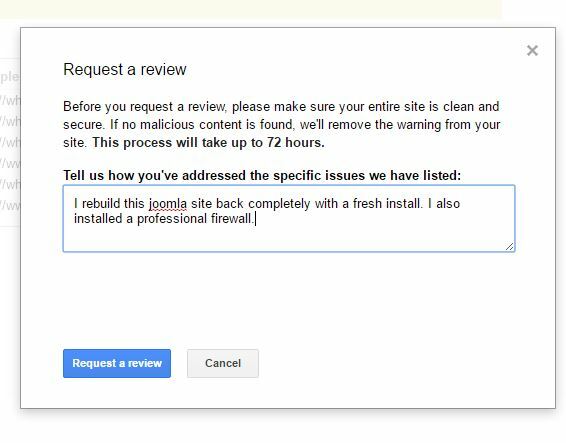 A window will open for you to tell Google what you did to clean the site. Had a customer call in because he was on the LA Times website and clicked on a link that caused his browser to pop-up a Microsoft warning. The warning said he was infected and needed to pay. He hit control-alt-delete and closed chrome. He restarted his machine and called us. I opened Chrome and looked at the start page. It was set to “http://www.google.com/ig/redirectdomain?brand=TSND&bmod=TSND”. When I put that URL into another browser it took me to just Google. I figured the rest was unecessary and reset his home page to just be “http://www.google.com”. I downloaded a rootkit scan tool from Bleeping Computer and ran a quick scan. We also use Vipre Anit-virus. I updated the difinitions and ran a full deep scan with Vipre. Nothing else was wrong. Had a customer with this issue. She was in a hurry and didn’t care to fix it. We could use the Start Button and to Computer to access the drives. I found a link that others have said fixed the issue for them. 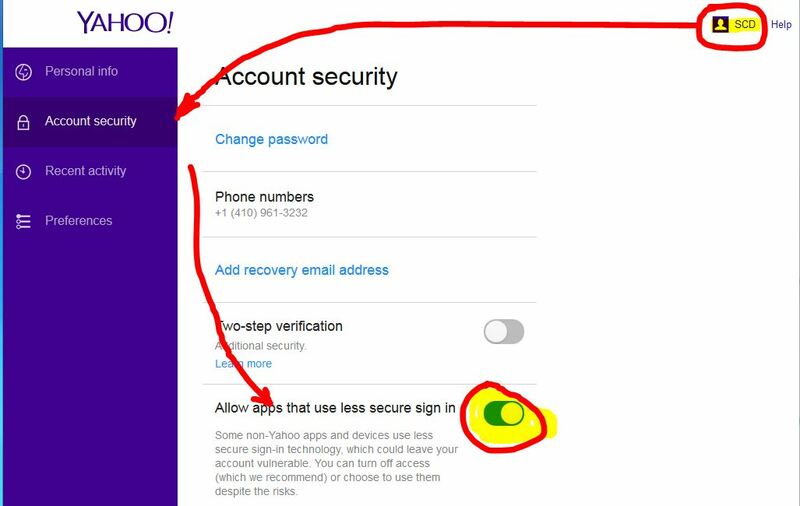 Had an issue setting up a users Yahoo account in Outlook. I followed the directions here, but it would authenticate. Check “must use secure …”, “logon using same as ….” setting. The issue we had is with Yahoo. Login into the yahoo account. Click on the user name in the upper right and select account setting. On the security tab scroll down and turn on allow unsecure. The newer version of Exchange is set up like Office 365. Here are the steps you will take. Log into the Exchange Management Console. Double-click on the users name to want the email account you want to forward. Here is Microsofts page for this.